Evaluation brief about professional development in McKnight's early literacy grantee school sites. 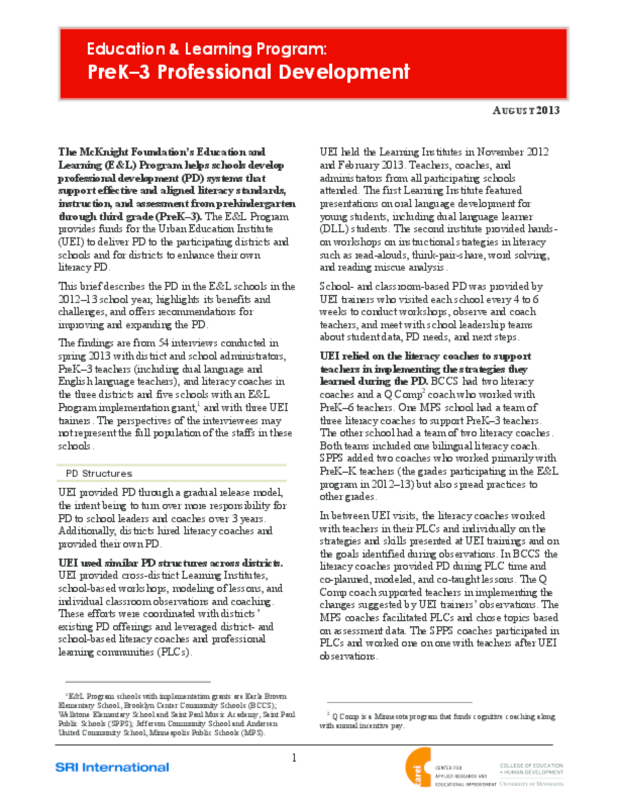 Researched and prepared under contract by SRI International and the Center for Applied Research and Educational Improvement at the U of M; part of McKnight's efforts to use research, field-building, and advocacy to increase the percentage of Twin Cities students reading proficiently by the end of third grade. Copyright 2013 Center for Applied Research and Educational Improvement, SRI International.